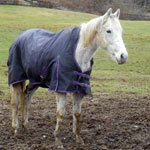 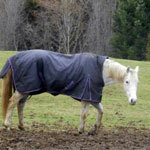 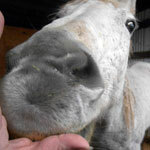 Shalla was born 4/10/1998 at the famous Meadowbrook Farms in Florida. 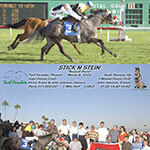 She was given the name "Stick N Stein" after a favorite local sports bar. 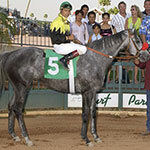 Shalla's sire is Darn That Alarm who was a stakes winner that won over $400k and descends from Native Dancer (Hall of Fame champion) and Count Fleet (Triple Crown winner). 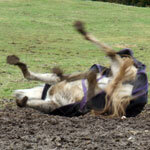 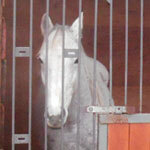 Darn That Alarm was known in particular for his quality as a sire of jumpers. 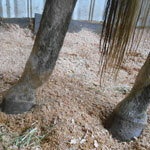 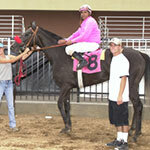 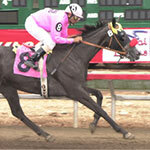 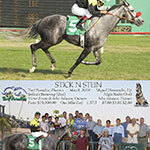 Shalla's dam was Salem Fires who won about $50k. 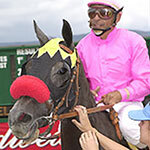 Salem Fire's sire was Damascus ($1.2 million) and her dam, Yankee Law ($90k), was sired by Nashua ($1.3 million) and Yankee Law dam's sire was Royal Vale who set American speed records. 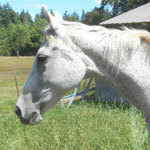 In the first three generations she has Native Dancer, Sword Dancer, Count Fleet, Damascus and Nashua. 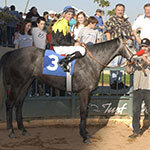 Shalla raced 48 times in Arizona. 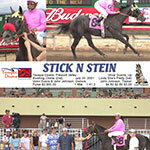 She won 9 races, placed second 6 times and third 7 times bringing her career earnings to $75,467. 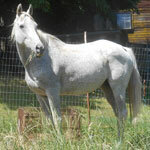 Her first race was in 6/2000 and her last race was in 8/2005. 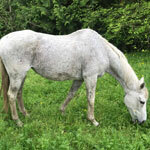 She retired sound from racing and then was sold to Adena Springs, one of the world's leading Thoroughbred horse breeding operations, to become a broodmare in Kentucky. 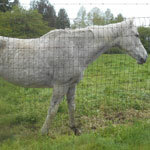 There she produced two foals, Shadows Son (2007 chestnut colt) and Coronetta (2009 bay filly), before being sold at the 2010 Keenland sale. 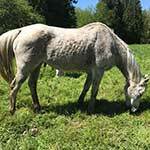 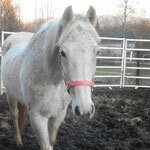 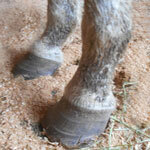 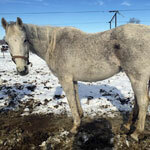 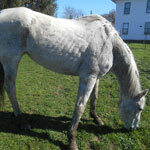 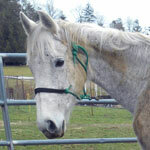 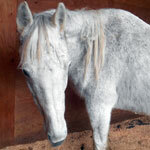 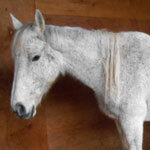 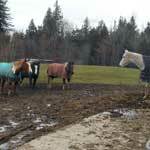 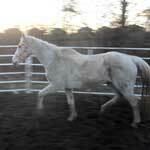 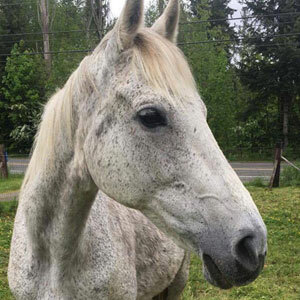 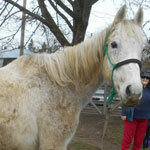 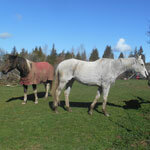 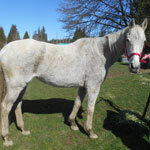 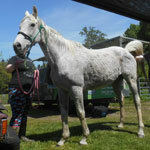 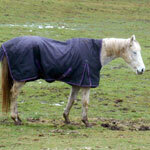 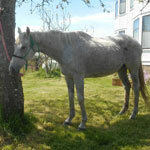 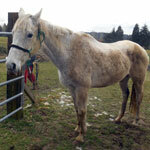 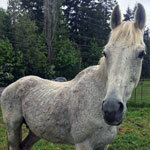 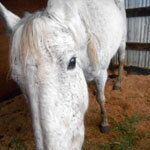 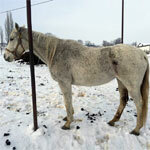 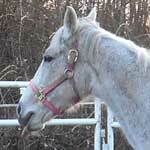 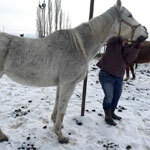 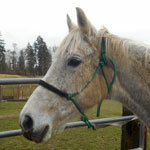 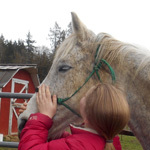 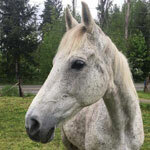 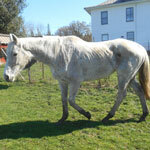 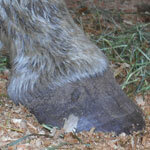 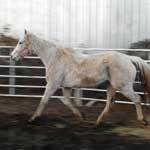 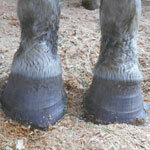 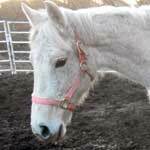 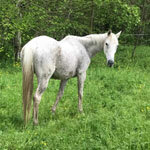 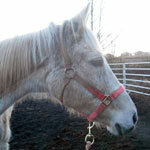 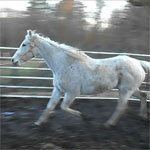 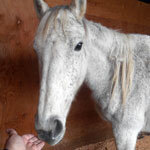 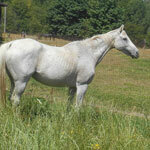 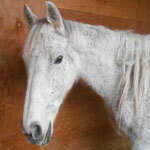 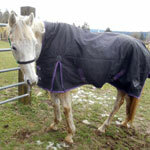 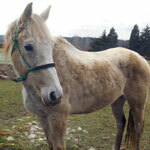 A Thoroughbred breeder from Washington bought her and had her shipped up to him. 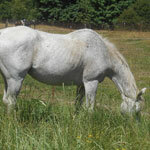 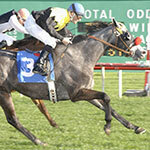 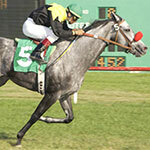 She was pregnant when she arrived with Just Touch Me (2010 gray filly). 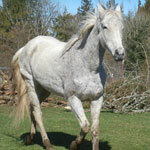 She was later bred to a local stallion and produced her last foal, Maximus Dancer (2011 dark bay colt). 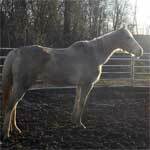 She was likely used as a nurse mare after her last foal and until in January of 2017 she found herself sold to a local slaughter feedlot. 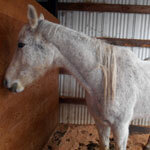 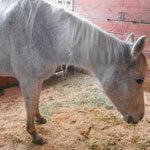 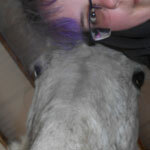 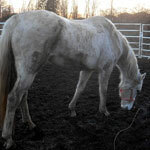 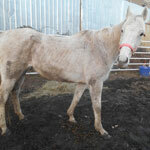 She was listed online in the hopes of finding a home before she was sent to slaughter and a home was found so now she is safe.